In Sri Lanka's tea estates most families live in line rooms. All of these have common pavement, and residents belong to all age groups, and can interact all the time. When parents go to work, the children who are not going to school are left behind with elderly people. Unemployed men also stay there during the day, and many boys try to follow their older companions. Young boys start to behave as the men they spend their days with and some start to control and harass their female counterparts, avoiding any involvement in "female" work. Young girls follow their mothers, grandmothers and older sisters, and are compelled to do all kind of household activities including caring for their younger siblings and giving priority to their male counterparts. This is how the "gender socialization" in the tea plantation sector is rapidly growing and pervasive. The housing system and the environmental sanitation is poor in the plantation sector. There are 6-12 or 24 line rooms in one line barrack. Without windows living rooms are dark: there is no ventilation. As most of the families are extended ones, approximately 6 to 11 members often live in one room. In this housing system women and girls do not have privacy, which presents a higher risk for sexual harassment against women and girls. 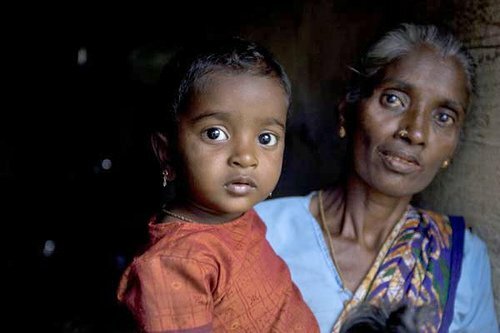 Female workers who participated in a focus group discussion held in an estate in the NuwaraEliya region in June 2007 have said that lack of privacy has led women to commit suicide, especially newly wedded women. The tea plantation is structured in a hierarchical order where women workers are in the lowest strata. 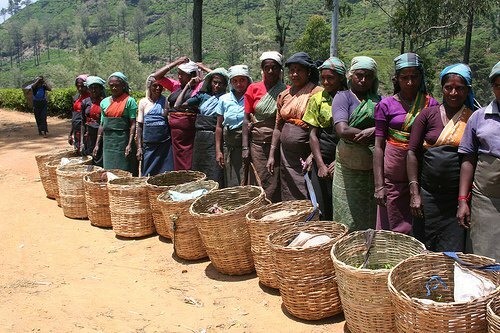 Though women have been consisted 75%-85% of the work force in the tea industry they are largely powerless. According to this structure, people in the lowest strata are obedient to all in the higher strata. This hierarchical order is maintained not only in the workplace, but it also affects the personal and family lives as well as the attitudes and behavioral patterns of men and women. Women are expected to be subordinate in the family and community life. We work with the community, especially with women, to make them aware of their rights and increase their leadership capacities. 85 Neighborhood Women's Groups were formed and more than 1300 women engaged in those groups. When women become more and more aware on violence in the domestic, work and community spheres they start to request that we sensitize their male partners. A strategy was therefore developed to sensitize all male officers in the plantation hierarchical strata. In the history of the tea plantation this was the first time that all men in the hierarchical strata of a whole cluster were sensitized on gender, leadership and violence against women. Out come of these trainings were remarkable: Kanganies have stopped using offensive language against women workers, men and boys actively supporting women's participation in Neighbourhood Women's Groups and many of the men who received gender traning are now helping their wives with household activities and estate managers are keen in raising the democratic environment in the field and they give leave for women to do their group meetings.